One of my favorite parts of running a vintage synth repair business is that I get to try out all kinds of instruments that I could never afford to own myself. Though I’ve certainly had fun jamming out on synths that are worth more than my car, a lot of the ones that impress me the most remain those that are fairly affordable—synths that were designed for regular people to use. In recent years, the increased interest in electronic music hardware—and vintage synths, especially—has pushed prices of vintage polysynths up higher and higher, but it is still very possible to get a very cool synth for under a grand. Below, I’ve put together a list of some of my favorite underrated polysynths from the 1980s that offer a lot of bang for your buck. The Korg Poly-61 is the oldest and the simplest of the synths on this list, and the reason I like it so much is simple, too. Of all of the ‘80s polysynths I’ve gotten to play and work on, I think this one just might come the closest to being able to make huge, fat, Moog-ish leads and basses. The first time I brought one "back to life" after dealing with the NiCad battery leak damage (an all-too-common problem with these), I was immediately blown away by how big it sounded, especially having owned its immediate successor, the thin and plasticky Poly 800. In the lower octaves, the pulse wave oscillators take on a distinctive, buzzy fuzziness. The architecture and features of the synth are quite simple, though it does have two detunable DCOs (square or saw wave) for each of its six voices. From there, it’s a very basic subtractive architecture with one ADSR shared by the filter and VCA and one LFO (called an MG or "modulation generator" in Korg’s parlance) programmable via the number buttons on the front panel. There is a four-way modulation joystick, which grants access to a second LFO, whose rate is controlled by a knob. It also has a simple but fun arpeggiator. 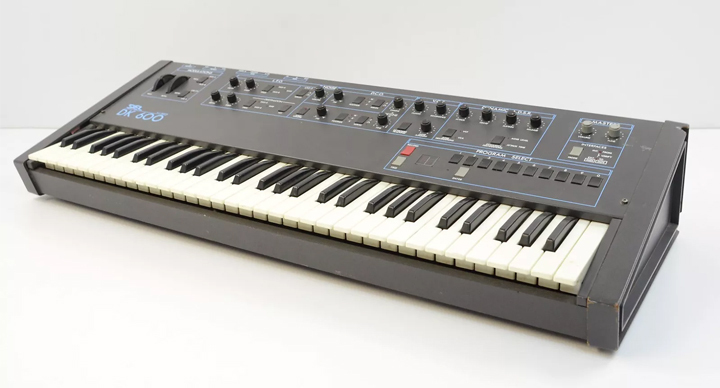 The original and most common version has no MIDI, but Korg added it to later units and eventually put out a second, MIDI-equipped version known as the Poly-61M. Today, a company called Tubbutec offers an excellent upgrade kit that adds MIDI, expands arpeggiator functions, allows the arpeggiator to be MIDI clocked, adds more LFO waveforms, and more. Most of the other synths on this list pack a lot of features, but this one gets to be here just by sounding huge and being fun to play. Tech Notes: A lot of these come up for sale in non-working or "as-is" condition because they often have problems as a result of their NiCad patch memory battery having leaked on the CPU board. Make sure you either get one that has had its battery replaced and leakage cleaned up or get that checked on as soon as possible. 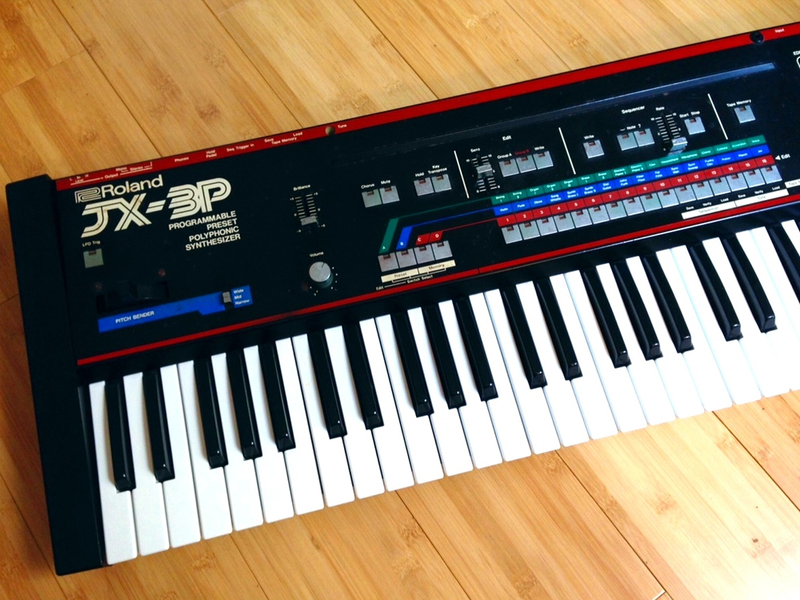 Though it’s not obscure by any means, I would say the Roland JX-3P is tragically underrated when you compare its modest reputation with the acclaim and legendary status of its fraternal twin, the Juno-106. The JX-3P sells for half as much, is electronically more reliable and sonically almost the same, but adds a second DCO per voice and a fun, easy-to-use step sequencer. Its one disadvantage when compared to the Juno-106 is the programming interface, which requires you to press a button to select which parameter you want to edit and then adjust it with a data slider. Regardless, it’s still quite easy to edit quickly and smoothly. The JX-3P is a solid, two-DCO-per-voice, 6-voice polysynth with two ADSRs, one LFO, stereo chorus, and another cool, somewhat unusual feature that the Juno-106 lacks: the ability to cross-modulate your two DCOs for a bit of entry-level FM action. I’ve come across discussions on the internet many times in which people compare the JX-3P and Juno-106 and make various claims about how they sound different. But though the filter and VCA circuitry of these two synths are constructed a bit differently, they were designed to sound the same. When calibrated carefully, they can indeed be made to sound virtually indistinguishable. Tech Notes: Every polysynth that Roland made in the ‘80s used the same approximate filter design, called an OTA filter, because it is centered around a type of integrated circuit called an "operational transconductance amplifier." These OTAs come in single, dual, and quad packages, and each Roland filter uses several of them. As different OTAs came and went in and out of production, Roland adjusted the design to use different combinations of packages to keep the design as efficient as possible based on what was currently available, adjusting the peripheral components to keep the sound consistent. So why did Roland use different filter designs for the 106 and JX-3P (which came out at almost the same time) if they were truly intended to sound the same? With the Juno-106, the Roland engineers were under pressure to make a synth that would be much cheaper than its predecessor, the Juno-60, while retaining almost identical functionality. To keep it within budget, Roland cut costs by building its filter and VCA with surface-mount components on "voice chip" daughterboards. These voice chips are terribly unreliable and are failing on every Juno-106 on earth now, and I spend a lot of time meticulously restoring them. The JX-3P, luckily, does not suffer from this pitfall. 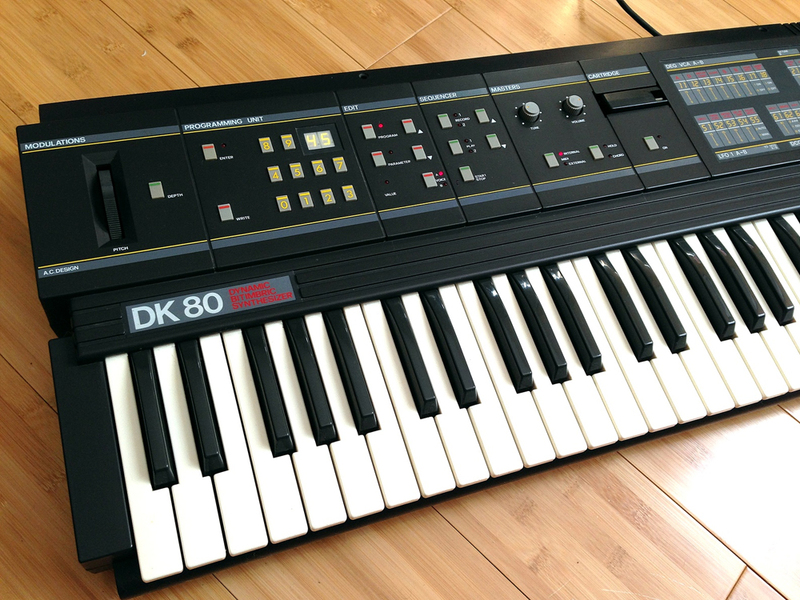 I have a special place in my heart for the Siel DK-80, because it was the first synth I ever bought. Probably the most inexpensive machine on this list, this under-appreciated Italian synth has a host of surprising features that make it much more powerful than its typical selling price of $300 to $500 suggests, and some fairly odd ones as well. 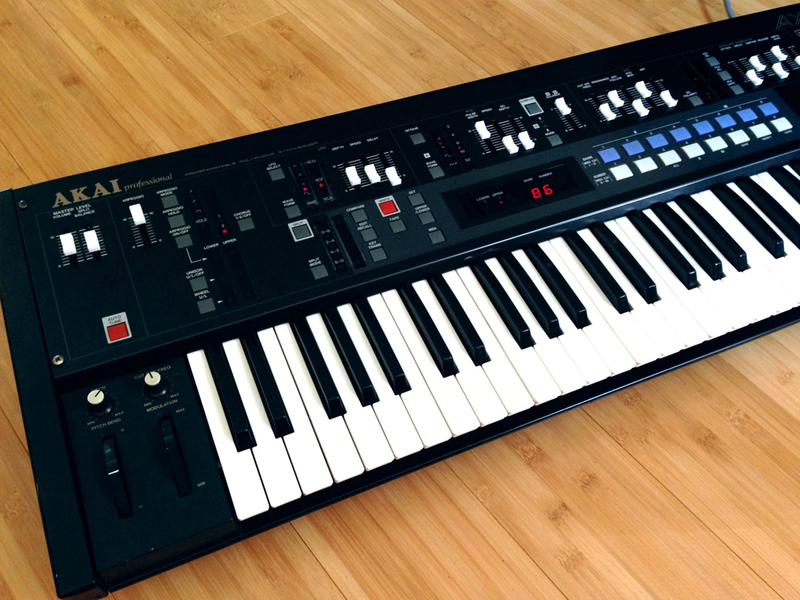 The Siel 80 series (DK-80 and EX-80) are widely considered to be ripoffs of the Korg Poly-800 and EX-800, but the DK-80 in particular is much more robust than its Korg counterpart. The 6-voice, 2 DCO-per-voice DK-80 can also be set up to be bitimbric, letting the keyboard host two different programs with one DCO per voice. Its greatest strength is its surprising array of modulation possibilities. There are independent 6-point envelopes for both VCA and VCF and separate LFOs for VCO and VCF modulation. This means that in "double" mode with two programs stacked, you can create complex, evolving pads with four very long envelopes and four delayable LFOs unfolding at the same time. While the programming interface is admittedly one of the worst possible, requiring you to type in the number of the parameter you want to edit and then use arrow buttons to change its value, another surprising strength of this synth is its excellent MIDI implementation. Unlike almost any other polysynth of its era, the DK-80 offers full CC-control of all parameters, meaning you can set it up with a knobby MIDI controller like the Behringer BCR-2000 or the DAW of your choice to program it much more fluidly. Tech Notes: Like its Korg counterparts, the Siel DK-80 is paraphonic, meaning that it has only one filter and VCF envelope per program. You can set the envelope to either retrigger on every note or continue to progress until every key is released. This latter option allows for some nice possibilities, like a long filter sweep unfolding over the course of a run of arpeggiated notes. One of the DK-80’s most powerful and unusual quirks comes from the order of the signal path inside the synth. Most subtractive synths pass the signal from the oscillators through the VCF before the VCA, meaning the VCA envelope is the "final authority" on whether and how your signal is audible at the output. The DK-80, however, uses a single monolithic chip to generate the tones for all notes simultaneously and also provide the VCAs for all voices. So the signal passes through the VCAs first, then is summed with the output of the noise generator and sent through the filter. This allows you to have filter artifacts, noise, and filter self-oscillation extending beyond when the VCA "closes" on the oscillators, allowing for some really interesting, abstract soundscape work and entirely nonmusical, textural ambient effects like rustling leaves, watery bubbles, and whistling winds. I seriously can’t wrap my head around how and why such a powerful synth could still be so underrated and inexpensive. A lot of websites and people who review synths put a lot of emphasis on how "harsh" this synth sounds, but I wouldn’t entirely agree with that. Sure, you can make some loud and noisy sounds, but you can also make it sound big, smooth, and sweet. The AX-60 also probably has the most robust analog architecture and feature set of any synth included here, with a great interface filled with lots of knobs and sliders for easy control of all parameters. It’s bitimbric (splittable into two sounds on the two halves of the keyboard), there are separate VCA and VCF envelopes, lots of waveforms for VCOs and LFOs, an arpeggiator, a bit of FM capability, and the filter resonance is insane—maybe even a bit too insane for some people when calibrated to factory standard. About 50 percent of the Resonance slider’s range is in self-oscillation, so when you’re experimenting with programming it, things get weird pretty fast. You’ll find that a lot of the time, the self-oscillation is not a cool sine wave, but a dirty, harmonic-rich howl that you can tweak to create a parallel universe of sounds that can’t be accessed by most of the AX-60's contemporary polysynths. If you want to make a lot of mellow sounds, this may not be the synth for you. The Akai AX-60 is the only synth on this list that uses VCOs (voltage-controlled oscillators) which gives it a bit more of a rough-around-the-edges sound. This means that the oscillators will all be experiencing minute fluctuations in pitch that help to thicken up its sound even more. 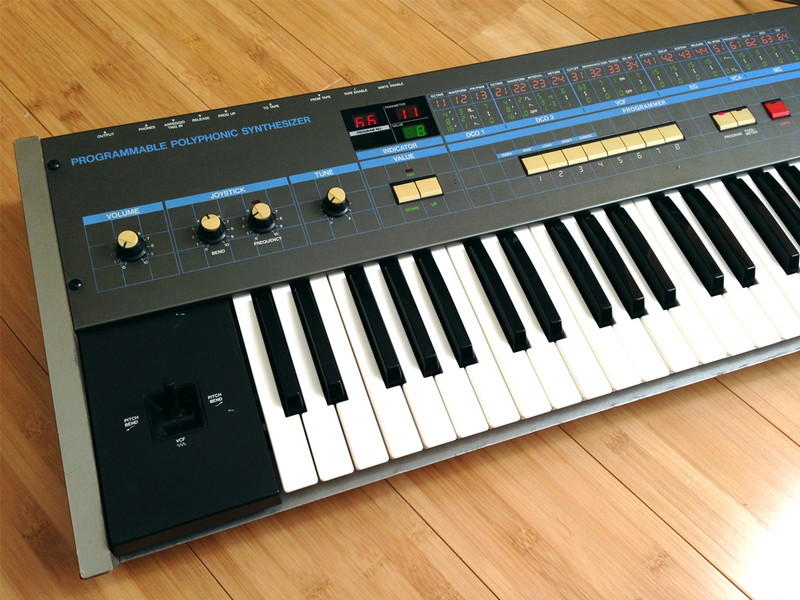 By the mid-1980s, VCOs in polysynths were becoming increasingly rare, largely replaced by DCOs ("digitally-controlled oscillators," or analog oscillators synced to a digital clock source) because there were more ways to make more of them cheaply, and it was much easier to make sure they stayed correctly scaled and in tune. This synth has 6 VCOs, and I’ve never had problems with them drifting out of tune over time, though it does offer an Autotune feature to snap the oscillators back into tune with a clock source when you first turn it on or if it starts to drift. On a list filled with analog polysynths, the ESQ-1 stands out as being different because much of it is digital. While sometimes people (inaccurately) refer to analog synths with DCOs as "hybrid digital/analog," this synth truly fits that description. The 8-voice ESQ-1 offers three digital oscillators per voice with a selection of 32 digitally generated and sample-based waveforms for each of them, which are sent through a set of nicely juicy Curtis analog filters. In fact, this combination of digital oscillators and analog filters was arguably the best way to design a versatile and powerful subtractive-architecture synth that was possible in 1986. 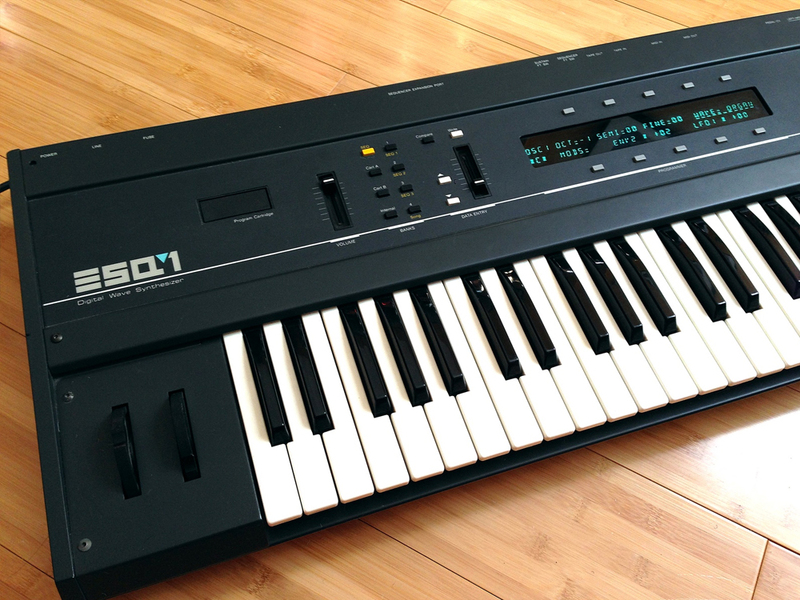 With the ESQ-1, Ensoniq took advantage of rapidly improving digital sampling technology to make an affordable synth whose flexibility would rival almost any made during the next 15 years, while retaining what is probably the most important part of what gives a synth an "analog" sound, the analog VCFs. Meanwhile, the digital oscillators each have their own amp "circuit" (a DCA, the ESQ-1’s equivalent of a VCA) so that they can pass in and out of your sound independently before being sent to a final shared DCA. There are no fewer than four 6-point envelopes and three LFOs for modulation, which can be assigned almost anywhere (even to modulate each other). The audio-frequency oscillators can also be used for amplitude modulation, creating the sound of authentic ring modulation. So what is stopping this synth from being widely considered one of the best polysynths of the ‘80s? Its biggest weakness is something that it shared with an increasing number of synths beginning in the late ‘80s and right up until the synth renaissance of the past several years: a menu-diving interface that makes it difficult to really take advantage of its depth. With its somewhat inscrutable and tedious interface, a lot of people just seem to have trouble getting into it, but with patient programming, the sonic possibilities are pretty much endless. You can create a totally convincing, warm and mellow "classic vintage analog" sound on it, but you can also tease out and build up an unbelievably complex sound that invokes a wavetable or FM synth. In fact, its functionally closest relatives might be the much-more-expensive Waldorf Wave series. My favorite sounds from this synth are those that fall somewhere in between—anchored in a familiar incarnation of an analog-poly sound but splitting apart at the seams and oozing strangely modulated harmonics. The way that the notes are produced as sampled waveforms being "called up" as individual events from digital memory instead of having to be produced by actual oscillators in real-time allows for much more flexibility in implementing them. Thus, the synth is able to offer 8-part multitimbrality and a wonderful multitrack sequencer that allows you to record every track with different patch settings and play it back that way. The only disappointment with this feature—which probably still seemed like a miracle in 1986—is that you have to stop the sequencer in between recording each successive track. The hardware synthesizer market today is experiencing its biggest period of growth since the 1980s. With so many low-cost new synths available and the prices of many vintage ones continuing to rapidly rise, it’s easy to reach for the instant gratification of something new and cheap. But if you dig past the hype heaped on a few pricey vintage "classics," you’ll find there are plenty of other underrated, affordable, and powerful vintage synthesizers that might have just what you are looking for. Alison Stout is the owner of Philadelphia-based vintage synth repair workshop Bell Tone Synth Works and blogs about synth repair and other synth-related stuff at belltonesynthworks.com.